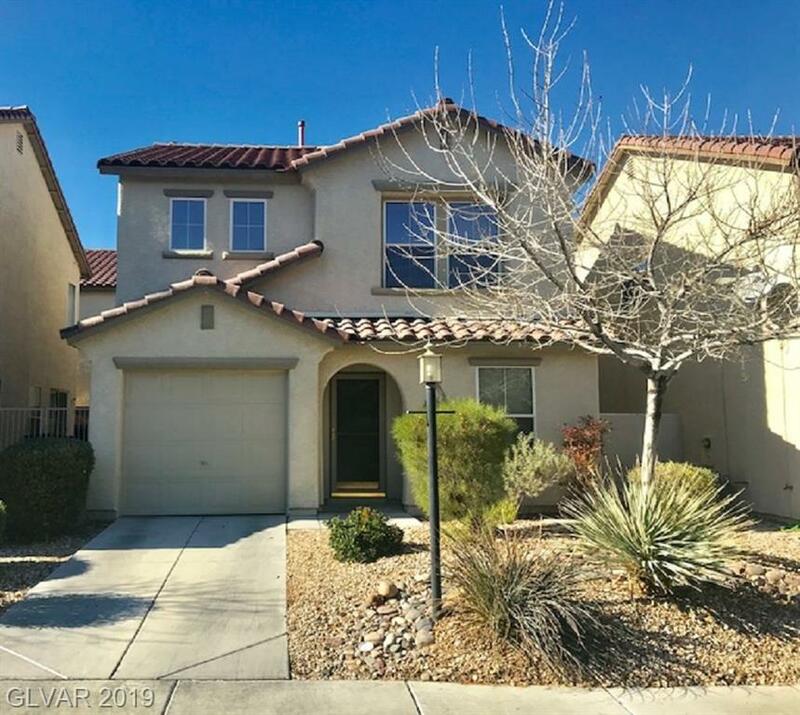 Adorable 2 story home in Terracina! Features open floor plan w/ kitchen that look out to dining room & family room w/ tile in all main living spaces. All bedrooms upstairs w/ carpet and laundry upstairs. Low maintenance side yard w/ patio. Community features community park. Conveniently located near shopping, entertainment & freeway access. Directions: L Onto Gilespie St From St Rose Pkwy, L Onto Gilliflower Ave, L Onto Jersey Lilly St To Property.